The “TTG” futsal club was founded on September 1st of 1993. 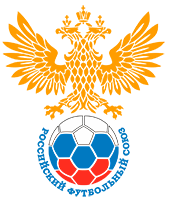 Since the 1995-1996 season the team from Yugorsk has been a part of the strongest division of the Russian futsal which is the first Major League and then the Super League. Already in the first season the players of “TTG” managed to win the bronze medal and a year later to repeat this result. We also managed to reach the finals of the Cup of Russia of 1996, where we gave way to “Dina” from Moscow only in the extra time. After renaming the club into “TTG-Yava” in 1997 the team from Yugra fell from the number of winners of the Russian championship for three years, but in the 2000-2001 season we won the bronze medal again. The following season, the fifth place according the results of the regular season allowed “TTG-Yava” to take our start in the playoffs. After we won the first match against the Moscow “Spartak”, we lost in the next two and got dropped out of the rally. The following year, in the 1/4 final we again confronted “Spartak” and again won. During the first three Super League seasons “TTG-Yava” did not rise above the fifth place. However, in the 2006-2007 season we managed to win our fourth bronze medal in the history of the club and a year later to climb even higher, to the silver medal. Partly the success was achieved thanks to the invitation of the strong Brazilian players such as Eder Lima, who became the top scorer in the 2007-08 season, and thanks to Robinho, who has also been consistently among the best scorers of the Super League. The club played the 2008-09 season under the name of “TTG-UGRA” and took the third place. Immediately before the 2010-2011 season, the club changed its name again. Now our name is FC “Gazprom-UGRA”. In the 2011-2012 season, the team won two prizes at a time. First, in the difficult struggle “Gazprom-UGRA” won the Russian Futsal Cup and then took the bronze medal in the Russian Championship. From 2012 to 2014, the team took the silver medal twice. In 2014-2015 season, when we won the final victory against the Moscow “Dynamo” with the score 7-2, “Gazprom-UGRA” for the first time in its history, won the gold medal, and thus the title of the champion of Russia. In the 2015-2016 season, The FC Gazprom-UGRA became the owner of the Russian Cup for the second time, defeating the Sibiryak with a total score of 10-4 on the sum of two meetings. In the same season, the team for the first time in its history won the right to represent our country in the draw of the main European futsal club tournament of the UEFA Cup. On April 24, 2016 in Guadalajara (Spain) the final stage took place, where the club Gazprom-UGRA, in its debut performance victory, defeating the hosts of the “Final Four” from the Spanish club “Inter Movistar” 4: 3, and became the owner of the UEFA Cup. Last season 2017/2018, the club became the winner of the Cup of Russia and the Russian Futsal Champion. Season 1995-1996 — third place. Season 1996-1997 — third place. Season 1997-1998 — fourth place. Season 1998-1999 — seventh place. Season 1999-2000 — sixth place. Season 2000-2001 — third place. Season 2001-2002 — 1/4 final (5thplace in the regular championship). Season 2002-2003 — 1/4 final (2ndplace in the regular championship). Season 2003-2004 — eighth place. Season 2004-2005 — fifth place. Season 2005-2006 — seventh place. Season 2006-2007 — third place. Season 2007-2008 — second place. Season 2008-2009 — third place. Season 2009-2010 — fourth place. Season 2010-2011 — fifth place. Season 2011-2012 — third place. Season 2012-2013 — second place. Season 2013-2014 — second place. Season 2014-2015 — first place. Season 2015-2016 — second place. Season 2016-2017 — third place. Season 2017-2018 — first place.